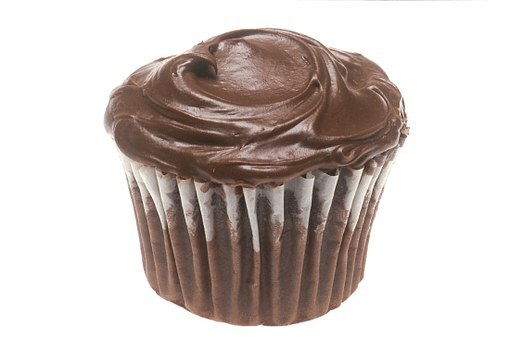 When I think of chocolate frosting, I immediately think of chocolate cake – my absolute favorite treat in the world! I literally have a very large cake in the oven as I write this post – a healthy one of course! And that’s the thing, over the years and since converting to a plant based diet, I have gradually discovered healthy plant based alternatives to all the things I love, as I just don’t want to miss out on tasty sweet treats – heaven forbid! This healthy vegan frosting is one of those delicious discoveries I made whilst experimenting for healthy plant based alternatives to your average high fat, high sugar fare. For starters, it’s super healthy because it contains all things coconut; which also happens to give it a fantastic taste and creaminess. And being as coconut is super healthful (yes, even its fats) I try to add it into my diet a lot. Here are some of the reasons you should consider adding (in moderation only) more coconut oil into your life. WEIGHT LOSS – Yes, sounds crazy right? But no no, coconut oil helps the body to burn fat more efficiently, and this includes that dangerous middle fat that seems to accumulate around the stomach. You know the stuff that seems to be really hard to get rid of even with diet and exercise. Well, turns out coconut oil may help with that, which I have to agree with myself, as when I eat more of this oil (though, no more than 2 tablespoons a day) I do feel fuller and more satiated. CALORIE BURNER – Coconut oil contains medium chain triglycerides which may help boost calorie burn by up to 5%. This study showed that at 1-2 tablespoons per day, coconut oil produced the burning of an 120 extra calories. It is not however recommended that you eat more than this amount per day as it is still a saturated fat. Albeit a healthier one. This gorgeous, decadent recipe also contains raw cacao powder, which is not only abundant in nutrition, but a seriously indulgent treat for all chocolate lovers. Loving all things chocolate myself I use raw cacao powder in lots of my raw food recipes, and this one is certainly no exception. Just be careful (whatever recipe you are using your raw cacao in) not to cook it, as this will render it no longer raw; or if you do heat it it should not reach temperatures above 42 degrees Celsius if you want to keep all its nutrients and enzymes in tact. Just use normal (and much cheaper) cacao powder if you plan to use it in your cooked bakes as it still contains lots of nutrition, but raw is definitely superior. ANTIOXIDANTS – Raw cacao powder contains a whopping 40 TIMES more antioxidants than raw blueberries. Antioxidants are needed for anti aging of the body both inside and also out; they help neatralise free radicals in the bloodstream to keep you in tip top condition and looking radiant. HEART FRIENDLY – Cacao contains over 700 compounds and antioxidants called flavenols that are anti inflammatory and may help protect you from cardiovascular disease and stroke. Cacao’s polyphenols may also help prevent hardening of your arteries by helping to lower bad cholesterol. GIVES YOU ENERGY – The high magnesium levels in cacao will give you a long lasting energy boost, so great if you need a hit of energy mid-afternoon or before a gym session. Word of advice: if you are easily stimulated it is not advisable to eat too much before bedtime for obvious reasons. GREAT FOR SKIN, HAIR AND NAILS – Cacao’s source of sulfur will help get you glowing due to its ability to build keratin and collagen, both of which are the building blocks to your skin, hair and nails. How truly awesome is that? COLLAGEN! HEALTHY GUT – Cacao can help improve your gut microbiome, and a healthy gut microbiome is associated with a strong immune system. REDUCES STRESS – Yes, chocolate when you’re stressed isn’t just for comfort. It has been found in this Swiss study that dark chocolate (aka cacao powder) has been shown to reduce the stress hormone cortisol, and to boot they also found it to boost metabolism. Can tasty food be healthy? The reason why I both create and scour the internet for healthy alternatives to ANY dish is because I want people to understand that food can not only be fun, delicious, and completely satisfying for your taste buds, but just as importantly, it can be good for your body too. I believe we both eat to live and live to eat in equal measure, and when I decided to go fully plant based I definitely wasn’t prepared to miss out on any of my favorite things. Seeing a list of all the nutritional value in your food and how that directly impacts your body and health is such a great incentive to make a dish that you can feel good about eating don’t you agree? A chocolate pudding or desert: add chopped fruit, nuts, or shaved chocolate for added texture and MORE nutrition. Make it a little runnier with extra coconut cream for a delicious chocolate sauce for ice-cream. You can make this frosting absolutely sugar free if you use xylitol or natural stevia as your sweetener. I like to grind down these sugars to a very fine powder (the consistency of icing sugar) before I add them, as it may be to grainy otherwise, and considering this frosting isn’t cooked means the sugar won’t melt down. You can do this in a spice or coffee grinder, or even a pestle and mortar if it’s all you have. Melt broken up dark chocolate and coconut oil in a glass bowl over a pan of boiling water. It doesn’t need to get too hot, keep all ingredients as cool as possible. Whisk in coconut cream until smooth. Add your cacao powder and sweetener to taste and mix until smooth. You should be able to do this with a whisk or fork alone, but you can also use a blender or vitamix for even more fluffiness and smoothness. Leave to chill in the refrigerator then use your yummy frosting whichever way you choose. Thanks for stopping by zestforever today, your support is much appreciated! If you made and enjoyed this recipe I would love to hear your comments, or even any suggestions for improvement in the comments section below. Thanks again, and have a great day! Really good information and the layout of your site is very professionally done. It was nice to learn about the benefits of coconut oil. I have incorporated Coconut oil into my diet on different occasions and was reminded by your post to re-introduce it back into my cooking regime. Thanks. Hi James, I’m glad you are liking my website, it’s been a long process but I’m getting there! I’m a big fan of all things coconut too, it’s such a tasty oil and really healthy in moderation. Be sure to eat an array of different healthy fats from different sources to get the full benefits in your diet. Hi James, thanks do much, and yes eating more coconut products is very healthful as long as you balance them out with other healthy oils from nuts, seeds, and olive oil. They all have unique qualities which is why I try and mix it up. But coconut is definitely one of my favourites for baking and homemade chocolate. This looks really good! I’m very familiar with dark chocolate and cocoa but I really need to explore coconut products. This recipe looks like a perfect place to start! I’ll share it with my vegan daughter, and son who loves to bake, and my chocolate-loving friends. Thank you. Yes, I think you will love coconut oil when you start adding it to your baking. It should however, be used alongside other healthy oils in the diet such as olive oil, avocados, nuts and seeds. All of them in moderation only and you will be very healthy. Thanks for sharing to your family and friends. It is much appreciated! That’s amazing how many more antioxidants are in raw cacao compared to blueberries! Blueberries are an antioxidant powerhouses! I’m definitely going to give this frosting a try. I’ve heard mixed reviews on using Stevia, both good and bad. What are your thoughts? It’s funny that as you wrote this you were baking a chocolate cake and I made a chocolate peanut butter pie just last night! Hi Jennifer, all I heard there was ‘peanut butter pie! !’S that sounds delicious, I love peanut butter almost as much as I love chocolate ha ha. The thing with these sugar substitutes is they may very well not suit everybody and can have a laxative effect if you have to much of it so this is something to be wary of. 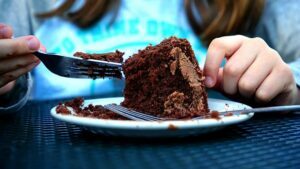 If you find you can’t tolerate these sugar substitutes you could always use a date, maple, or brown rice syrup instead, but this could change the consistent and you may need to make up for that with more cacao powder. Healthy chocolate frosting. Who knew? I had no idea such a thing existed. I do have a sweet tooth, and frosting has always seemed particularly decadent. This is definitely worth a try! Hi Jon, yep, I make all my favourite treats healthy! In fact, I just can’t eat things any other way these days; my taste buds nd whole body has definitely changed over the years through continual healthy eating. 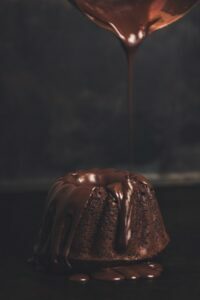 I don’t like to miss put on anything, and chocolate is my absolute weakness in life so a lot of my recipes are based around it. I’m so excited to try this recipe! I’ve been vegan for almost a year now, and I am missing having the usual sweet recipes that I used to have. Might be time for a treat I think!